The game for this week is Double Play: Super Baseball / Home Run Derby. 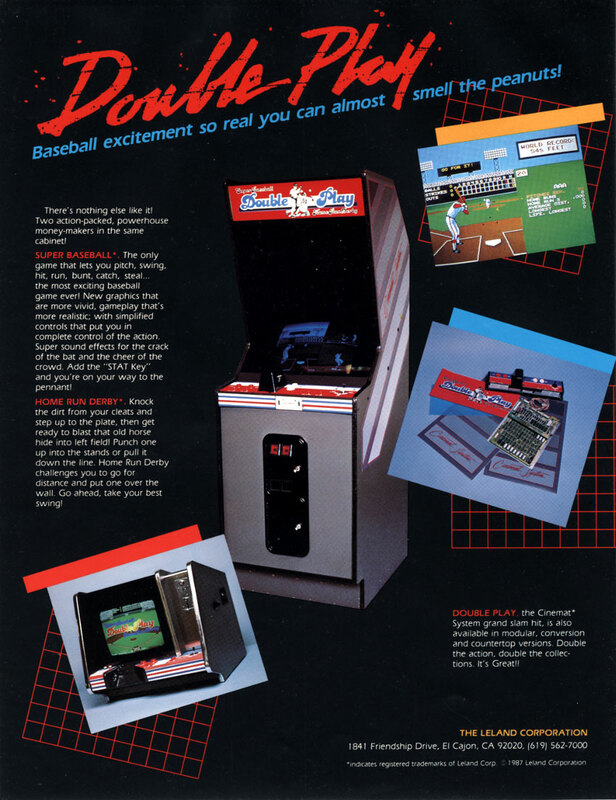 Double Play: Super Baseball / Home Run Derby was released in 1987 and brought to us by Leland Corp. Double Play: Super Baseball / Home Run Derby is two baseball games in one. First one is Super Baseball which is your standard baseball game. There are no teams for you to choose from only the colour of your team is selectable. Each inning costs one credit to play. Second is Home Run Derby in which you must hit as many home runs as far as you can. You get thirty balls for one credit. The game is a nice system for being able to track your stat progress over multiple play sessions. It does this by asking you for your initials and date of birth at the start of playing. This game is the third in a series of baseball games.